The conversation around decommunisation and the need to either keep or remove the monuments put up by Communist and Soviet regimes is still a timely one even after 25 years have passed since the regimes have ended. Follow this Instagram that aims to explain the meaning behind some of these monuments. 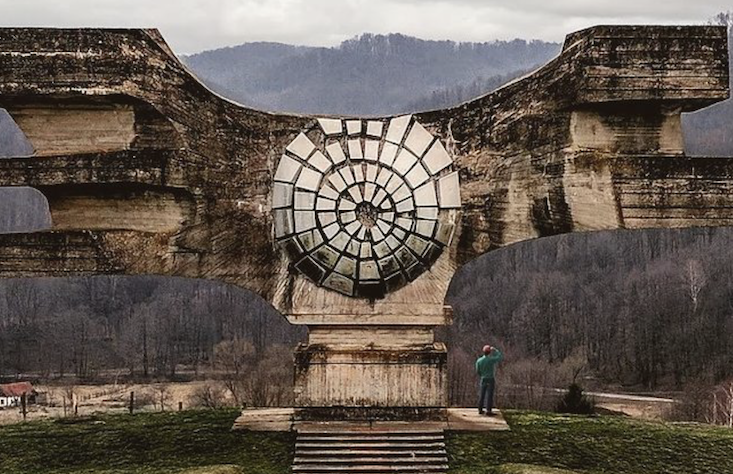 Instagram account Spomenik Database works to catalogue, explore & demystify the abstract Spomeniks, Second World War memorials of the former Yugoslav region. The captions offer information on meaning and history of each monument, as well as architects, years of construction and location. The project also exists in the form of a website.